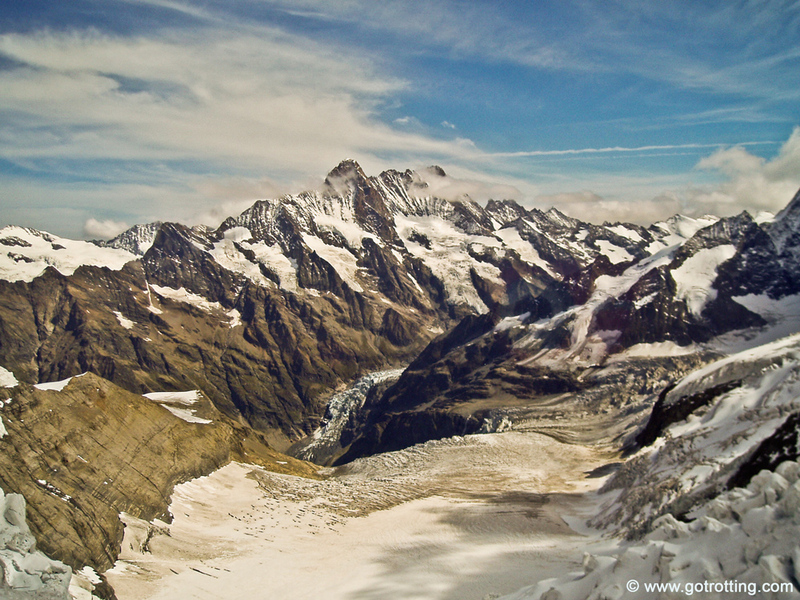 If there is something you should not miss, then this is definitely the Jungfraujoch (elevation: 3,471 metres). This place is actually a col or mountain pass between the three mountains, Eiger, Mönch and Jungfrau in the Bernese Alps. Its train station, located at 3,454 metres elevation is Europe’s highest, which is why it is often referred to as “Top of Europe”. 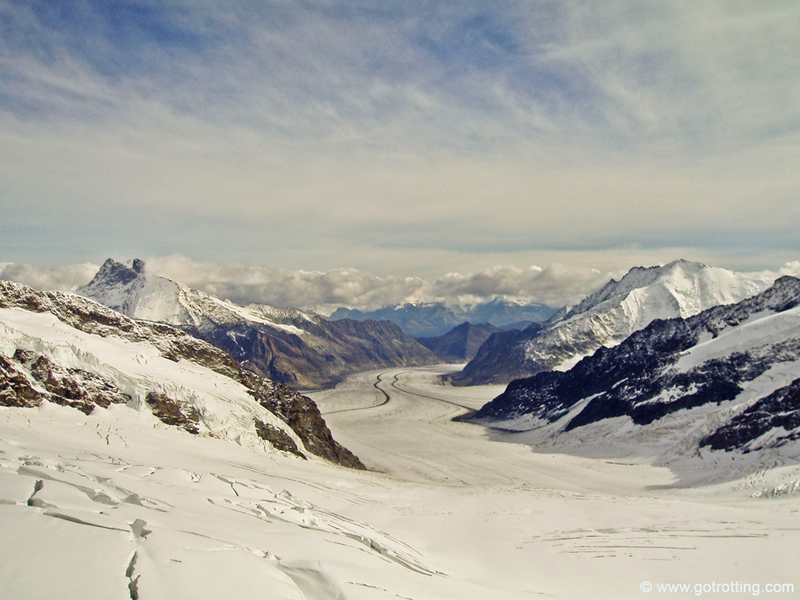 Around two million people every year visit the Jungfraujoch and there is a good reason behind that: its astonishing panoramic views, which are simply spectacular. That will be your once-in-a-lifetime trip that you will never forget. The trip to the mountain pass with its famous Jungfraubahn train, will go through many interesting places such as a 10-km long tunnel built out of rocks leading to the very modern science fiction like Sphinx meteorological station. There you can have a stop to visit an ice gallery of ice sculptures, eat something at different restaurants, do some souvenir shopping or enjoy the scenery at different indoor viewing terraces. 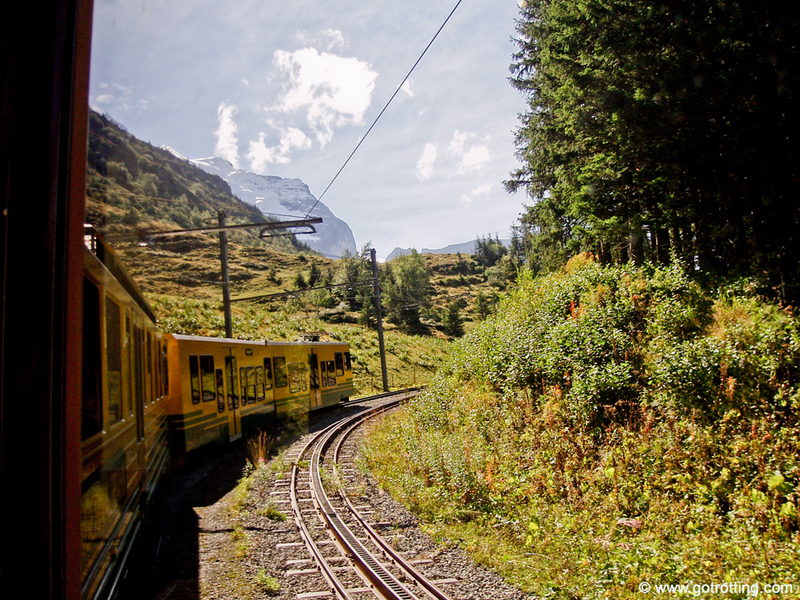 On the way with the Jungfraubahn you will do many halts inside the Mönch and Eiger mountains where there are special viewing platforms with panoramic windows with breathtaking views. The eminent Aletsch Glacier, which is the Alp’s biggest one, is located down the south of the Jungfrau and is also worth seeing. You have the possibility to walk across the glacier behind the Mönch mountain on a specially marked path for this purpose. Other activities include skiing or cross-country skiing, snowboarding, sledging and many more. 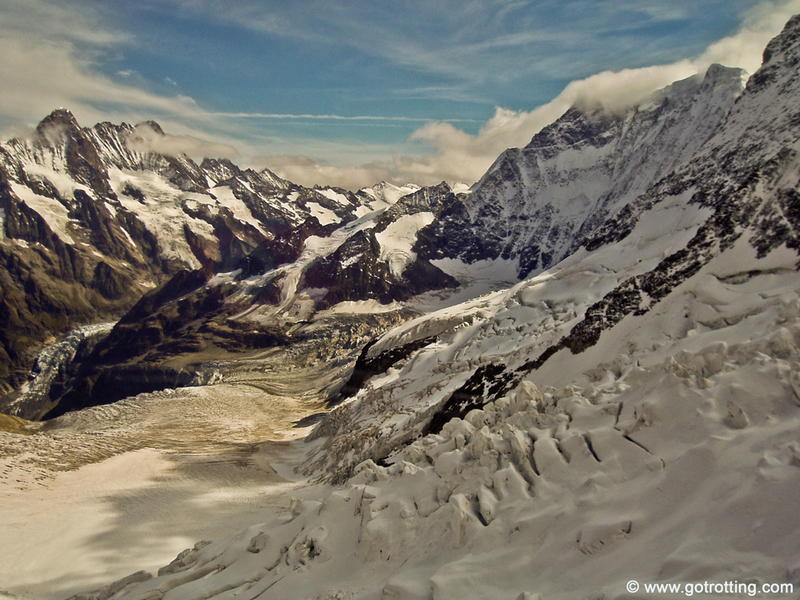 As you can see the Jungfraujoch is a must to visit and you will not forget this one-time experience.